It is important that you update your City Ledger (Direct Bill) batches regularly. If you do not do this, your data may become corrupt. Transactions are posted to batches when the night auditor runs "Create Gen ledger/City Ledger postings"; when payments are posted within City Ledger, and when transactions are posted manually within City Ledger. Membership billing also creates a batch. All batches will be located on the workstations on which the transactions (charges or payments) were posted with the exception of the batch created at night audit. That terminal is designated in the Parameter Record in Hotel Control Files setup. Also make sure that two terminals do not share the same batches. If you wish to view the batch prior to updating, go to City Ledger (or Direct Bill) then Customer Processing then Enter Transactions. Items in the current batch for that terminal will display. Each terminal will have its own batch. This is what you will see in a batch. Sequence 1 is a payment; sequences 2 and 3 are charges. The two charges are transfers from guest ledger, posted when "Create gen ledger/city ledger postings" was performed at night audit. This is how the DB payments posted into hotel folios come across into city ledger. To update the batch, go to Print and Update Transaction Batch. You can update the batch now or print it first and then go back in and update it. If you print it only, remember to go back in and update the batch promptly. Below is a sample batch report. The transactions in blue outline are charges. The transaction in red outline is a payment, showing the invoices to which the payment was applied. The batch cannot be reprinted once it has been updated. You can save the printout or you can select "Preview/print to screen" before you start. 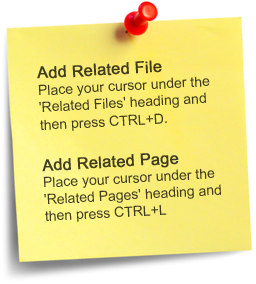 You can then save the document as a pdf or txt file. If there are errors in the batch, you will not be able to update the batch until the errors are fixed. To see what is wrong, print the batch. Most likely some kind of invalid character was inserted or there is a problem with the account code. Once you fix the problem you will be able to update the batch. If you are unable to fix the problem transaction you can delete the line and re-enter it manually.